Although the name sounds like a shopping mall, this is a long 2km road with various shops along it. 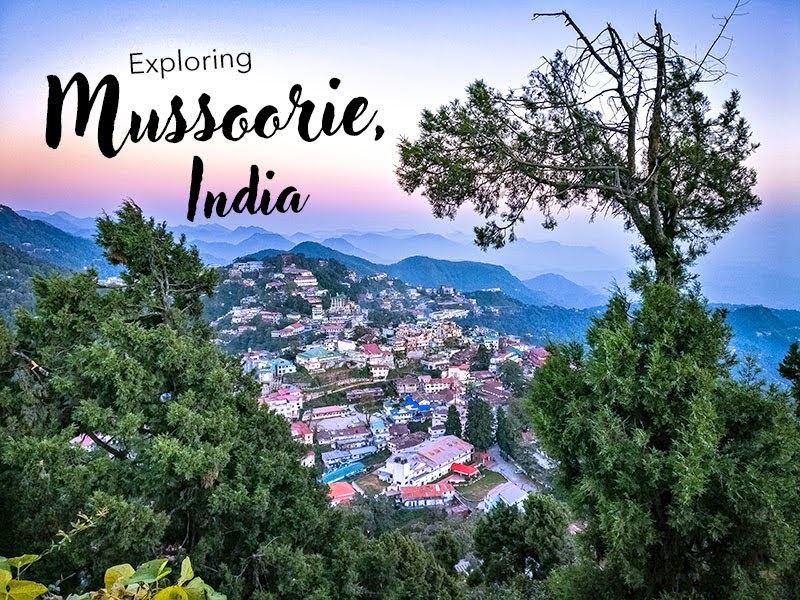 It's basically the main part of Mussoorie where you can find everything you need from an abundance of local delicacies to shopping. It is very lively and you can buy clothes, shawls, shoes, bags, food and souvenirs here. Many of the hotels in Mussoorie are located here. Came's Back Road is situated away from the hustle and bustle of Mall Road. It is a scenic road surrounded by nature, overlooking the vast hills and valleys around Mussoorie. If you're lucky, the skies are clear enough to see the ice peaks in a distance! You can choose to take a stroll here or rent a bike for a slow, scenic ride. If you enjoy the idea of the scenic Camel's Back Road, you might like Cloud's End as well! Visitors may enter the private property for a small fee of 50 Rs, which includes entry to View point and Echo point, making it a great place for a little trekking. From Mussoorie you can do a day trip to Lal Tibba, a viewpoint in Landour. It has a mesmerising view of the majestic Himalayas BUT you are advised to go early as it tends to get cloudy later in the morning. You may even go up at 7am to catch the sunrise! There is a Rs 100 fee for entry to the cafes which is waived if you order from them. Perhaps a cup of rich hot chocolate while you enjoy the snow view in Jan/Feb? This beautiful waterfall is a popular spot in Mussoorie and can get crowded during holiday seasons. A pool has formed at the base of the waterfall where you can take a dip in the chilly water while enjoying the natural beauty around you. Kempty Falls is accessible by stairs but you may also take the cable car up. A family-friendly location that is relaxed and filled with lots of pretty flowers. Children may enjoy the swings, boating in the small pond or taking photos with the manmade waterfall. It is recommended for families with young ones. There are also several temples in the area, Bhatta Falls, Mossy Falls, Sir George Everest's House, Happy Valley, and other locations that you may visit. Do check out the hotels in mussoorie and book early for your trip.